Facility Builders and Erectors has been constructing the Brea War Memorial. 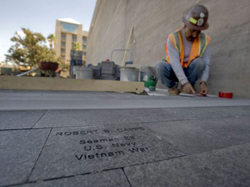 The dedication ceremony showcasing our work and the talents of the design team will be this Veterans Day, November 11, 2012. Facility Builders and Erectors has been working on a design build project for the City of Brea alongside Emily Keller, Brea community service director, and the construction manager for the City of Brea, Joe Calabrese. We have been working with a very talented design team headed by Susan Narduli, the principal of Susan Narduli Studio, for the design and construction of the Brea War Memorial. This Memorial honors the five branches of the United States Military and the fallen heroes from Brea. With this design build project, we have installed the Walk of Honor which has stone pavers presenting service members names. Another element of the Brea War Memorial is an 18 ft. tall reflective granite monument engraved with the names of individuals from Brea who gave their lives for service to our country. The monuments, walk of honor and the reflective monument are graced with flags of the different branches of military and surrounded by new landscaping, including a garden for peaceful reflection. This war memorial is a great tribute to our country and for our community. 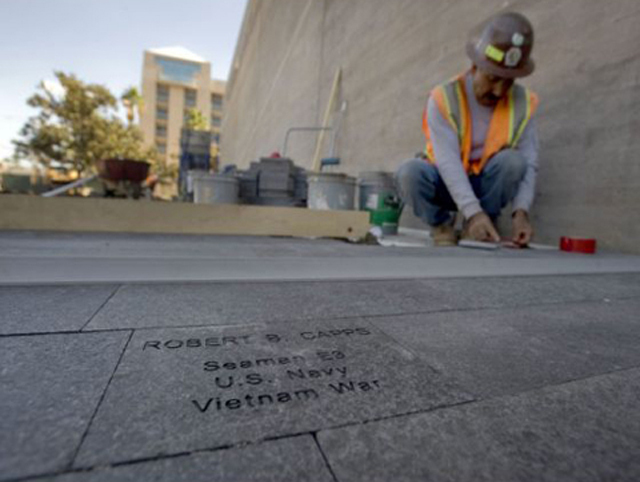 We our honored to be a part of this project constructing the Brea War Memorial. Facility Builders and Erectors, Inc.